Syakar Trading Pvt. Ltd. (STC), the authorized distributor of Honda for Nepal, has been appointed as the authorized distributor for Genuine Engine Oils, a product manufactured at Idemitsu Lube India P. Ltd. (ILIN), 100% subsidiary of Idemitsu Kosan Co. Japan. This was officially confirmed earlier today after a Memorandum of Understanding (MoU) was signed between the two parties in an event at Jyoti Bhawan. The MoU was signed by the Managing Director of ILIN, Takeyoshi Miki and the Chairman of STC, Mr. Saurabh Jyoti. In the beginning stages, engine oils of 1 liter for motorcycles and 800 milliliters for scooters will be supplied. The engine oil are to be of grade SJ10W30MAand SJ10W30MB. For Honda cars, it will be 4 liters of SL10W30 grade. According to ILIN, other various lubricants will also be made available in the future for the Nepalese market. 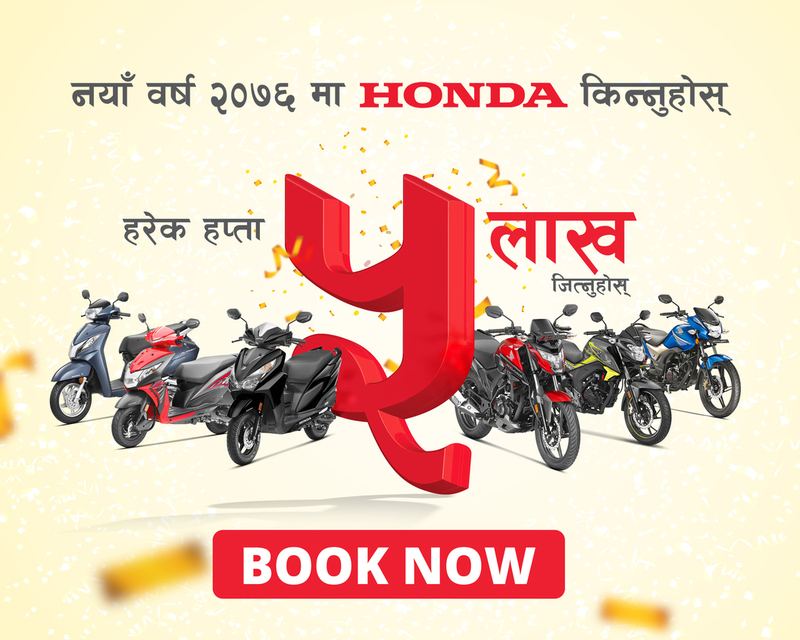 STC, who have been the authorized distributors of Honda Motorcycles & Scooter, Honda Cars, and Honda Power Products for Nepal since 48 years, take pride in now being the official distributors of Genuine Engine Oil of Idemitsu Lube India Pvt. Ltd. as well. Established in 1911 A.D. by Sazo Idemitsuin Japan, Idemitsu Kosan Company is Japan’s second largest petroleum company & present with three refineries in Japan. It is present with 31 manufacturing bases & 37 sales offices in the world for sales of lubricants. During 2013, official lubricant sales volume was 1.04 million kilo liters in the world.